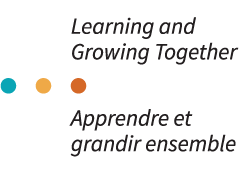 The Joint Learning Program (JLP) is guided by a Joint Steering Committee that is co-chaired by Magali Picard, National Executive Vice-President, Public Service Alliance of Canada (PSAC) and Paule Labbé, Assistant Deputy Minister, Executive Management and Leadership Development, Treasury Board of Canada Secretariat. The Joint Steering Committee is comprised of five senior representatives from the Union and five senior representatives from the Employer. Non-voting members representing the Union and the Employer are also part of the Joint Steering Committee. Two Co-Directors have been appointed to coordinate the program, and a national JLP administrative office has been established. The office is located in the PSAC headquarters at 233 Gilmour and is staffed by PSAC and federal Public Service employees. Twelve regional coordinators (two coordinators for each region, one representing the union and the other one the employer) have been hired in the six following regions: Atlantic Region, Quebec Region, National Capital Region, Ontario and Nunavut Region, Prairies and Northwest Territories and British Columbia and Yukon Region.